As a working author, I've followed -- with more than a little interest! -- various publishing experiments and emerging sales channels. One of those experiments is the freestanding novella. What had been an impractical story length has become, in the era of ebooks and print-on-demand, eminently doable. In the meantime, here are some other questions to ponder. What if a man could go forward in time to learn about the future—and then backwards in time to correct a dreadful mistake? But what if going back in time was, in and of itself, the most terrible mistake possible? Could a life's journey that started off bending—and breaking—a few real estate laws really wind up ending life as we know it? That would have to be impossible. Or would it? Previously published as "Time Out," this mind-bending story will keep readers guessing until the final page. Includes the bonus time-travel story "Grandpa? "—one of Edward M. Lerner's most popular tales. If you've wondered what sort of fiction I write -- but not cared to experiment at book length (and cost) -- A Time Foreclosed may be just the experiment for you, too. Oh, and I see now that it's only 99 cents! Purchased and downloaded for reading during my bus commute this evening. Congratulations, and thanks for a great tale! Writing as a multi-disciplinary scientist/engineer, and, to my best knowledge, as one of the few scientists in the world who has ever been hired to render consulting on time-travel technologies (please, don't ask... the three projects in which I was somewhat involved as a consultant were all just too weird. 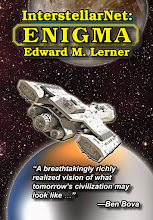 ...), and as someone who has been an avid SF reader since the age of four, all that I can say is that I thoroughly enjoyed this short story/novella! 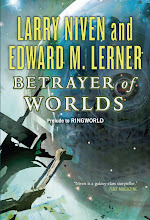 I first discovered this tale in its earlier form, where it had been published under the name "Time Out", a few days ago in a Kindle anthology of time travel SF stories, and it was my very first exposure to SF tales written by Lerner. I then decided to also purchase the newer, and renamed, version of the tale under the name "A Time Foreclosed" from Amazon, also in Kindle format. 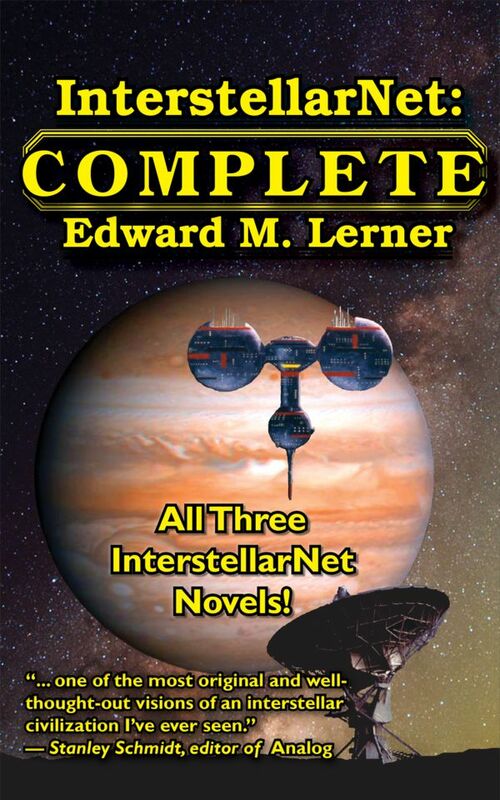 Having read and enjoyed this tale immensely, I am now looking for more SF stories written by Lerner, and, in fact, I have ordered four more of Lerner's SF tales, all again in Kindle format, from Amazon over the past two hours! Thanks for the very kind words / plug. Thanks for your reply. Incidentally, I also left a review for your story on the Amazon website; the review as quite similar to the one that I had posted above on your blog site. First, if you will send me your email address at vinny (at) mindspring (dot) com (if you have a hard time converting that coded email addrss into a real email address, you can also find my email address on my website; I have given the URL when posting each of my messages here), I will be happy, as my time allows, to send you a return email or two over the next month or two giving you some details of some of those projects, and also on some of the stranger consulting requests that I have received during my 15 years as a multi-disciplinary scientific/engineering consultant. And, let me say that any such information that I share is freely shared, that is, you are welcome to mine any of those tales for ideas or concepts for use in any of your future stories! And, while we are on the topic of possible ideas for future stories, I would like to suggest that you may wish to join two or three of my stranger email list groups devoted to strange science/fringe science topics, and then review the past posts in the message archives for some ideas. Time-Space Doorways (about time portals, interdimensional portals and space portals). Elixir Vitae (about the Elixir of Life, aka Elixir of Immortality). I read this story a couple of nights ago. Only meant to read the first few pages but had to keep reading on to the end. Really good fun, enjoyed it. Well, folks, I read the Analog-version of this thing, and felt rather disappointed. Nothing new, harping on the same string ever since Wells published his immortal Time machine. Language and dialogs? They are pretty good. Perhaps too much slang, and some sentences seem a bit or very awkward. I'm sorry you were disappointed, but (of course) I respect your opinion. The majority of the chapbook/mini-collection A Time Foreclosed *is* a republication of my Analog novella, "Time Out" -- something I've done my best to be upfront about. I was explicit about this, for example, in this post to which you offered your comment. Similarly, the provenance of both stories in the mini-collection appears on the copyright page (and so, is a part of the preview available to shoppers on Amazon).